"Who am I? I am loved by God." rom the streets to the church house, Daniel Black's heartbeat and passion are the love and presence of Jesus. Daniel has traveled the world around with this message of the love of Christ. From the streets of San Francisco to the streets of Beijing, he has committed his life to spreading the Gospel of God's Great Love. He longs to see people from every ethnicity and background fall in love with Jesus. He has committed himself to reach the untouchables, the unwanted, the outcasts, those society has deemed unworthy, and God has deemed al-together lovely and see God's love win in their lives. Through the ministry of Love Fest Global, he sets out to become an answer of hope and love to the growing cloud of doubt in this world. Through educational opportunities within schools, churches, and private events along with global acts of social justice amongst the worlds poorest along with taking the opportunities given to spread the message of the Gospel of Jesus' Great Love across the globe, he is helping to create a world where love always wins. 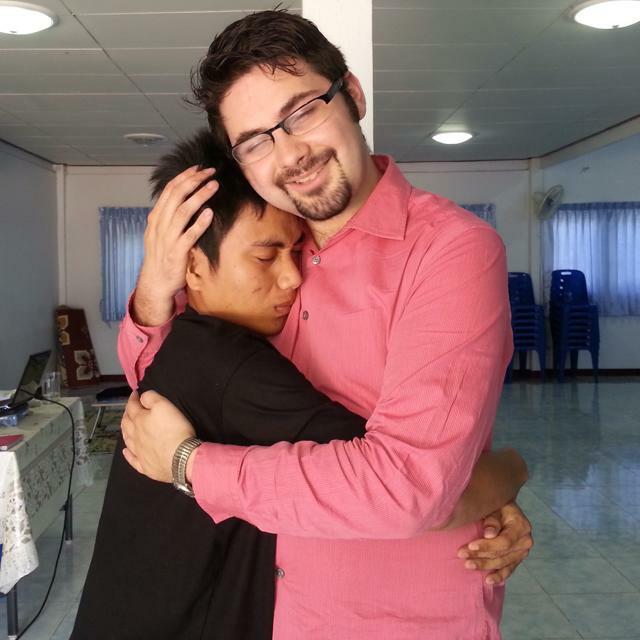 Daniel is the founding director of Love Fest Global, a not-for-profit compassion organization, and currently is leading their base of operations in Hong Kong, serving the needs of the poor, broken and destitute, while preaching the Gospel of Love. Daniel is also an often sought out speaker and has spoken in thousands of gatherings around the world inspiring and empowering people to live loved and to live love. ﻿Daniel is currently on the core leadership team of Roundtable Church in Hong Kong under the leadership of Jason and Julianna Young and previously has served as the Missions director and former preaching pastor for His House Fellowship in McArthur, CA. under the leadership of Steve and Dalene Black. He also serves on the Ordination Council for His House Fellowship. To read what others are saying about Daniel, please visit the endorsements page. To invite Daniel to come and minister at your event, click here.